This is an article about swapping your clothes. 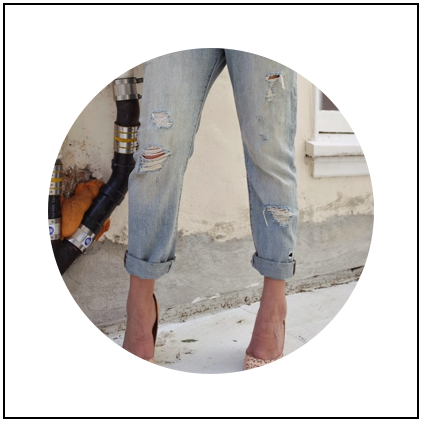 The boyfriend jeans, traded in. The fur, traded in. The shoes? Bought with the money I traded in (Dolce Vita Snakeskin Heels) The hooded sweater, Gap Body on sales a few years ago... But you get my point. You have great clothes which you are probably sick of. So do other stylish chickies... When these two things collide in your local thrift/consignment store fashion magic happens.